Saw this at a local supermarket and took a photo of it with my camera phone. On the first glance I thought why is there refill pack of dishwashing liquid doing in this section? Then I realise it's wine in a "plastic refill pack" packaging! They are so innovative eh? 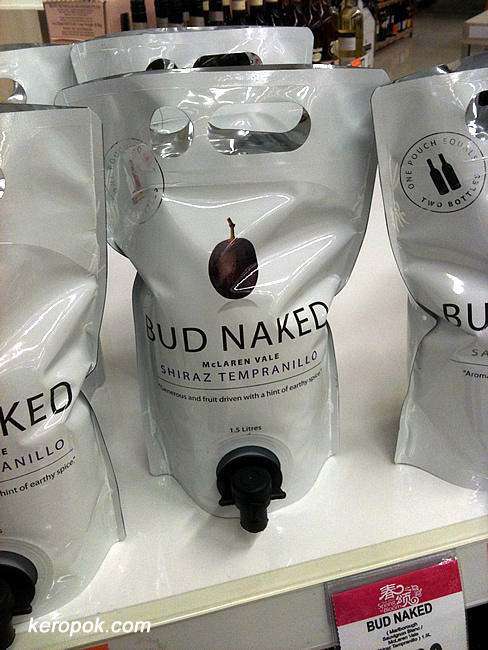 Interesting packaging for wine? Did you buy one to try? I did not buy it. I bought wine in aluminum cans before though! very interesting - definitely make good gifts! how much per pack?? it's on sale. it's $34.90. was in the supermart just now and saw the price. thanks. my daughter just got 2 for me at cold storage, i think. apparently, the promotional price will end soon & it'll be $50 thereafter. talk of the town, heh heh!! How did that car get into that parking lot?